A non-toxic, biodegradable, all-purpose, no-rinse cleaner designed for daily use on almost any hard surface. Cleans glass, porcelain, ceramic and natural stone tile, grout, agglomerate & stone countertops, bathtubs, sinks and fixtures. 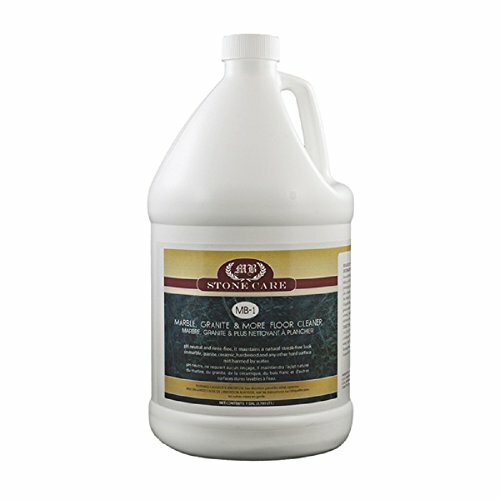 pH Neutral Tile & Stone Cleaner is also available in a concentrate formula, which can be used to refill the quart trigger spray bottle 6 times. Quart Concentrate Item #108834. Reflect is a neutral Ph stone cleaner that saves labor because no rising is required for cleaning any hard surface - it is residue free. 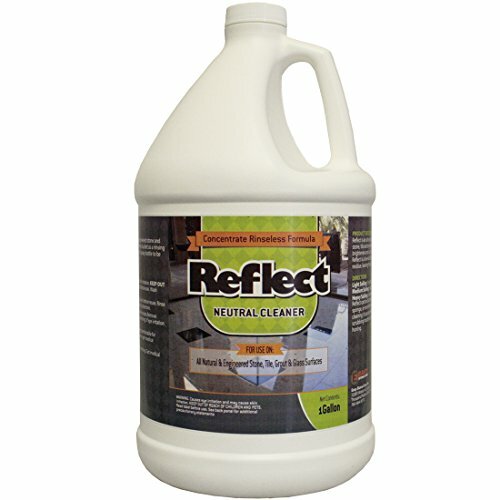 Reflect will quickly remove marks and surface dirt leaving surfaces shining with a pleasant lemon scent. This is a low foaming cleaner for stone that's formulated for autoscrubbers or mopping applications. This can be diluted up to 128 to 1 ratio which means this gallon container can potentially make up to 128 gallons! The mixing directions are as follows:Light soils......1 ounce per gallon of water (1:128) Medium soils......2 ounces per gallon of water (1:64) Heavy soils......3-6 ounces per gallon of water (1:42 - 1:21) So the very least you should get from this heavy duty stone cleaner is 21 gallons of cleaning fluid! While you can use tap water, using distilled water will oxygenate the cleaner making it even more effective. 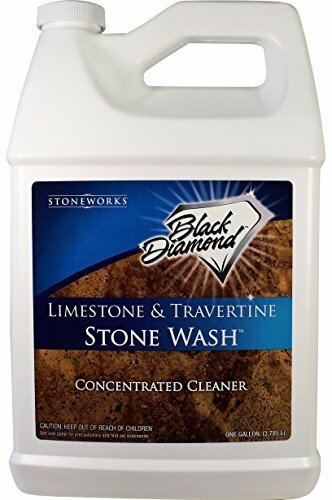 This cleaner is recommended by stone restoration professionals since it is completely safe for stone and will not cause etching or change the finish of the stone. It is simply a deep cleaning Ph blanced cleaner that is excellent for regular use with your stone! Miracle tile and stone cleaner is a pH neutral cleaner designed for all tile, stone, grout and masonry surfaces. Strong enough for the professional, yet gentle enough for the do-it-yourself specialist. 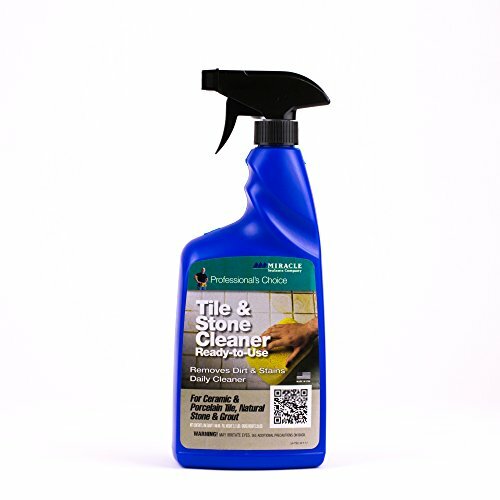 tile and stone cleaner is a nontoxic cleaner that can handle the most difficult stains, yet is gentle enough for everyday use. It is very effective as an ongoing maintenance cleaner for surfaces previously sealed with the appropriate Miracle Penetrating Sealer/Impregnator. 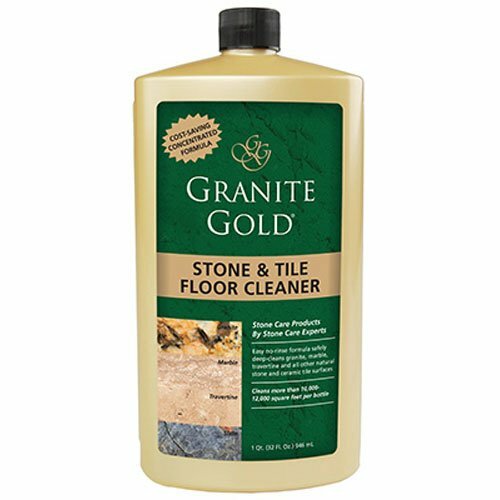 tile and stone cleaner will not harm the polish on polished stone surfaces. Always protect neighboring surfaces including wood, carpet, metal, landscaping and other non masonry surfaces. Coverage will vary depending on density, porosity, texture, surface absorption, weather, time solution left on surface and application methods. Used as directed, tile and stone cleaner will clean up to 10,000 square feet per gallon (927 square meters per 3.785 litters). Store tile and stone cleaner in the original container properly sealed and unmixed. Stored at 77 degree F (25 degree C), tile and stone cleaner will have a shelf life of 12 months. Do not allow to freeze. keep out of reach of children. Cleans soil and grime effortlessly from marble and granite and dries streak-free. Its pH balanced, no rinse formulation of special inorganic salts act as moisturizers and optical brighteners, adding shine and luster to the floor. Cleans soil and grime effortlessly from marble and granite and dries streak-free. Its PH balanced, no rinse formulation of special inorganic salts act as moisturizers and optical brighteners, adding shine and luster to the floor. Also excellent for wood floors, ceramic and porcelain tiles and great for the maintenance of large commercial floors with automatic scrubbing machines, too! Just add 1 to 2 ounces of MB-1 marble, granite and more floor cleaner to a gallon of warm or cold water and watch your polished or honed stone floor come alive. 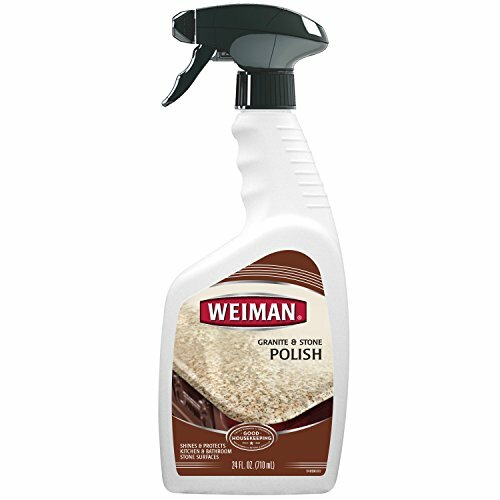 Enhance the natural beauty of stone surfaces in your home with Weiman Granite & Stone Daily Polish Spray. This pH-neutral formula safely polishes, revealing a truly brilliant, streak-free shine. Best used on granite, marble, Corian, laminate, tile, concrete, slate, soap stone, limestone, quartz, quartzite countertops and vanities, as well as fireplaces. 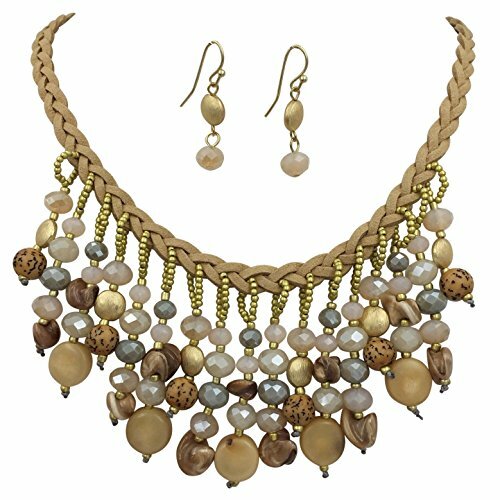 Looking for more Neutral Stone similar ideas? Try to explore these searches: Studio Pro 1000 Microphone Cable, Sierra Exhaust Tube, and Take Viagra. Look at latest related video about Neutral Stone. Shopwizion.com is the smartest way for online shopping: compare prices of leading online shops for best deals around the web. Don't miss TOP Neutral Stone deals, updated daily.